The tariffs, to take effect on Monday, were announced late on Sunday by China's finance ministry and matched a list of potential tariffs. Beijing: China has increased tariffs by up to 25 percent on 128 U.S. products including frozen pork, wine and certain fruits and nuts, escalating a spat between the world's biggest economies in response to U.S. duties on imports of aluminium and steel. The tariffs, to take effect on Monday, were announced late on Sunday by China's finance ministry and matched a list of potential tariffs on up to $3 billion in U.S. goods published by China on March 23. 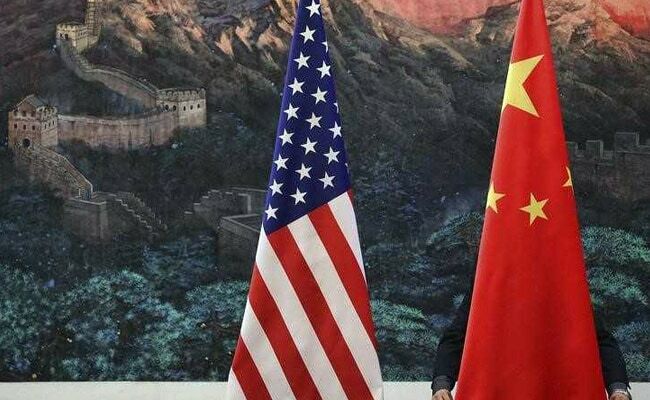 Soon after the announcement, an editorial in the widely read Chinese tabloid Global Times warned that if the U.S. had thought China would not retaliate or would only take symbolic counter-measures, it can now "say goodbye to that delusion." "Even though China and the U.S. have not publicly said they are in a trade war, the sparks of such a war have already started to fly," the editorial said. China's Ministry of Commerce said it was suspending its obligations to the World Trade Organization (WTO) to reduce tariffs on 120 U.S. goods, including fruit and ethanol. The tariffs on those products will be raised by an extra 15 percent. Eight other products, including pork and scrap aluminium, will now be subject to additional tariffs of 25 percent, it said, with the measures effective from April 2. "China's suspension of its tariff concessions is a legitimate action adopted under WTO rules to safeguard China's interests," the Chinese finance ministry said. The retaliatory tariffs came amid escalating trade tensions between Beijing and Washington, which have rocked global financial markets in the past week as investors feared a full-blown trade spat between two countries will be damaging for world growth. U.S. President Donald Trump is separately preparing to impose tariffs of more than $50 billion on Chinese goods intended to punish Beijing over U.S. accusations that China systematically misappropriated American intellectual property - allegations Beijing denies. China has repeatedly promised to open its economy further, but many foreign companies continue to complain of unfair treatment. China warned the United States on Thursday not to open a Pandora's Box and spark a flurry of protectionist practices across the globe. "There are some people in the West who think that China looks tough for the sake of a domestic audience, and would easily make concessions in the end," the Global Times editorial said. The Global Times is run by the ruling Communist Party's official People's Daily, although its stance does not necessarily reflect Chinese government policy. In a statement published on Monday morning, the Chinese commerce ministry said the United States had "seriously violated" the principles of non-discrimination enshrined in World Trade Organization rules, and had also damaged China's interests. "China's suspension of some of its obligations to the United States is its legitimate right as a member of the World Trade Organization," it said, adding that differences between the world's two largest economies should be resolved through dialogue and negotiation.